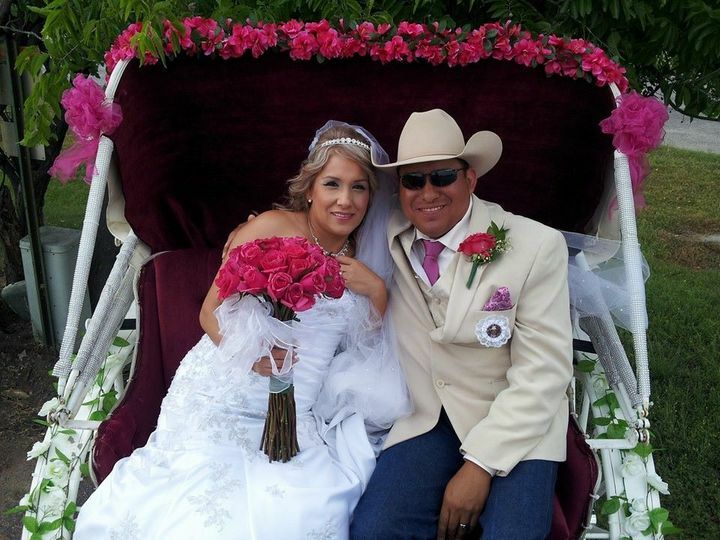 We provide horse drawn carriage service for weddings and other special events in south Texas. 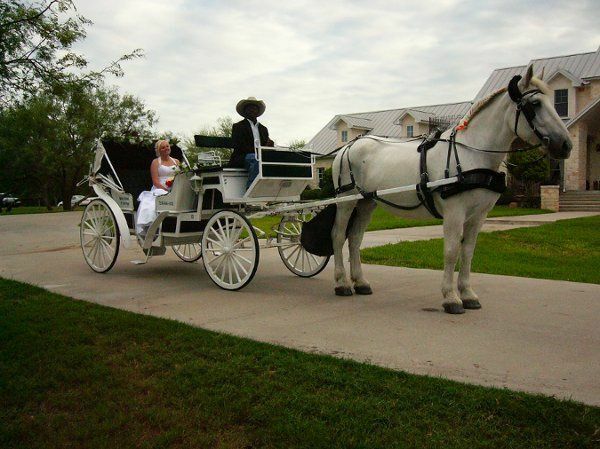 We have beautiful, well trained white Percheron horses and a variety of vehicles to meet your needs. 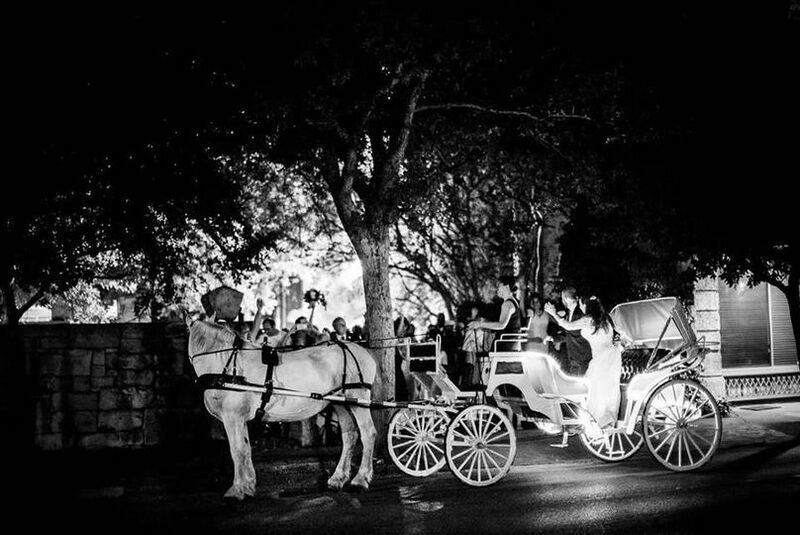 Our most popular wedding vehicles are our traditional vis-a-vis style carriages and our Cinderella carriage. 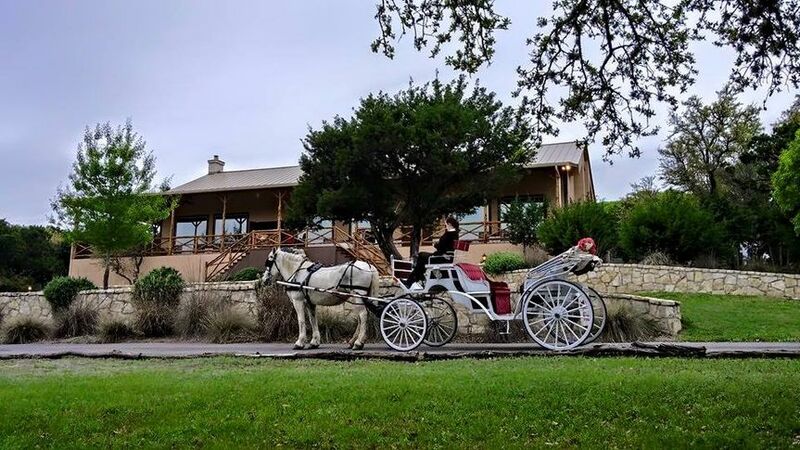 We also have a wagonette and "limo" carriage for bridal parties and wedding guests. 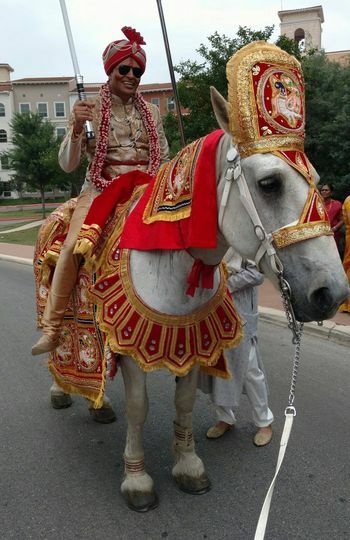 White Horse and Carriage Co. Taking the bride, groom, and photographer to the reception after the wedding. 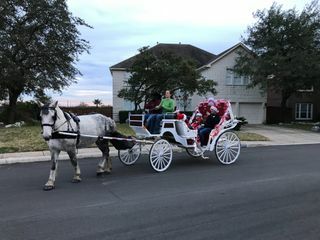 White Horse and Carriage Company made our Christmas shopping event memorable. 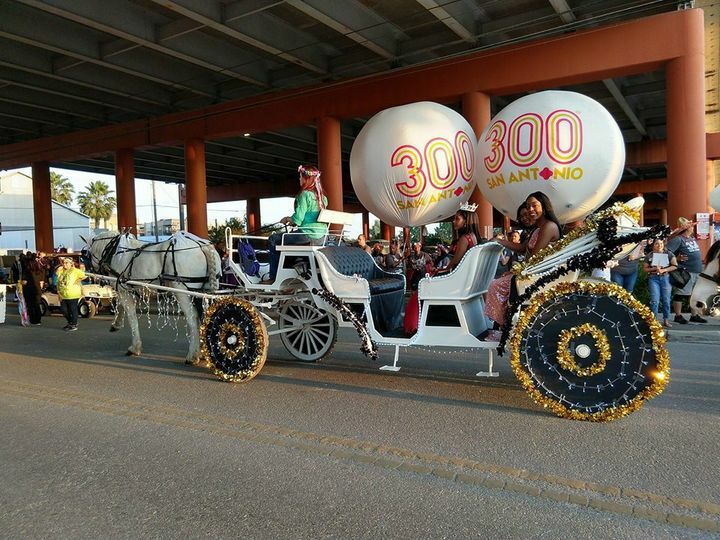 They provided a "limo" carriage and two drivers for an evening of rides in Uvalde, TX. 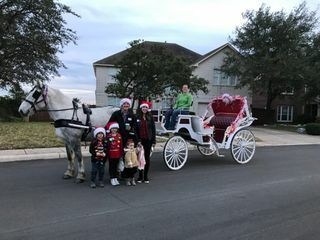 This was our first time having carriage rides and it added that magical touch to the holiday season! 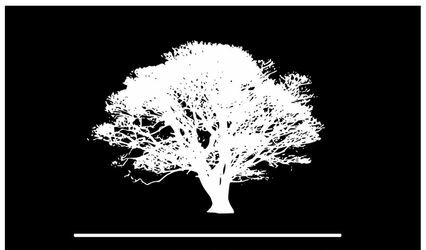 They were kind, professional, and easy to work with. We hope to have them come back again soon! 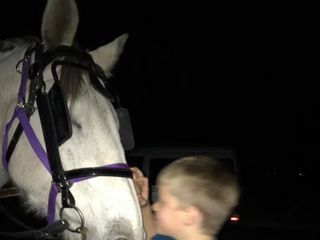 Christina and her horse, Lacy, made our exit absolutely amazing. 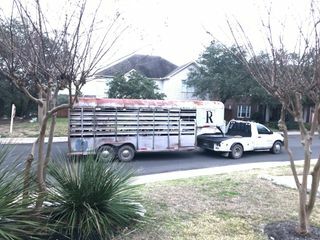 I am so glad we choose to go this route and hire this company. 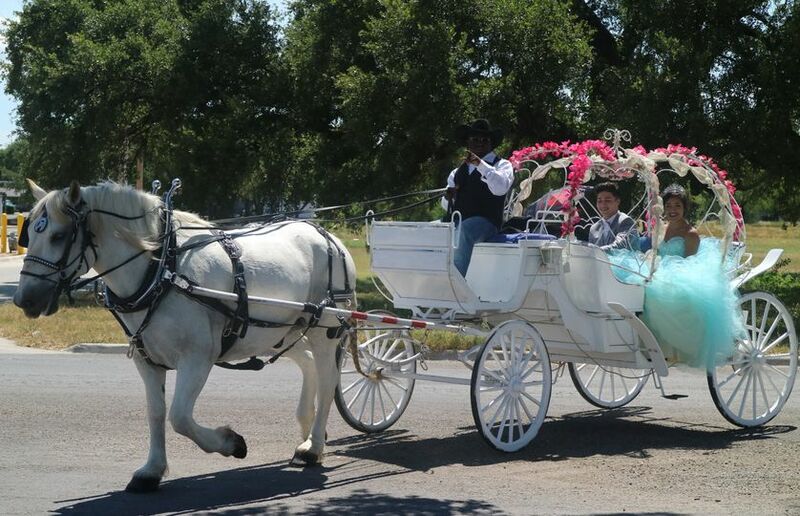 I even did my bouquet toss from the carriage before we left, and it was epic!! Everyone loved it! 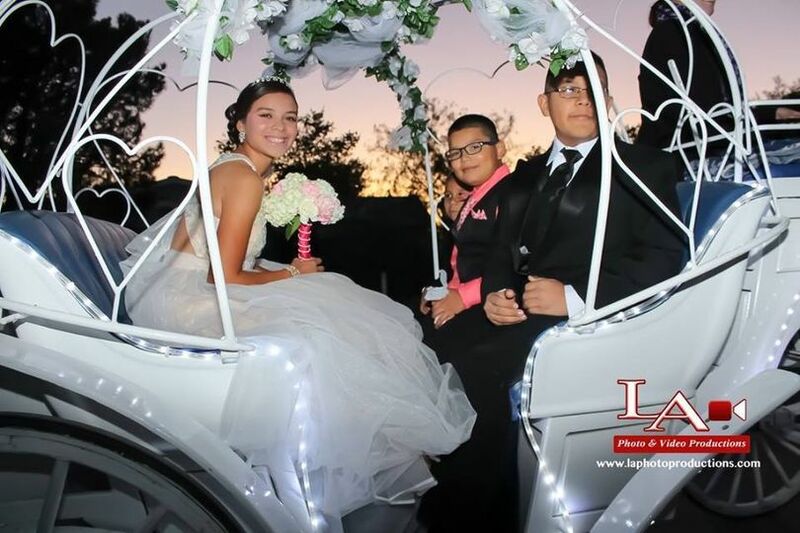 The carriage was beautiful and lit up. Lacy was clean and white. We couldn't have been happier.